Obliteration of the Self takes you as much into the minds of these three musicians as you can go with such a primitive media as words. Emo-bluesy-rock with influences such as Sunny Day Real Estate, Radiohead, Built to Spill, Burning Airlines, etc makes this one of the most diverse Last Minute albums stylistically. The album has a host of recurring themes and includes three recurring tracks from the bands' debut self titled album. Discontinuity finds a way of making a melody at the same time pristenely poppy as it is dark and brooding, a combination that is at the same time beautiful as it is frightening. 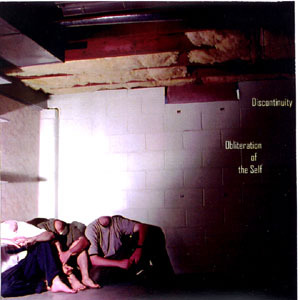 Obliteration of the Self is available from Last Minute for $4.